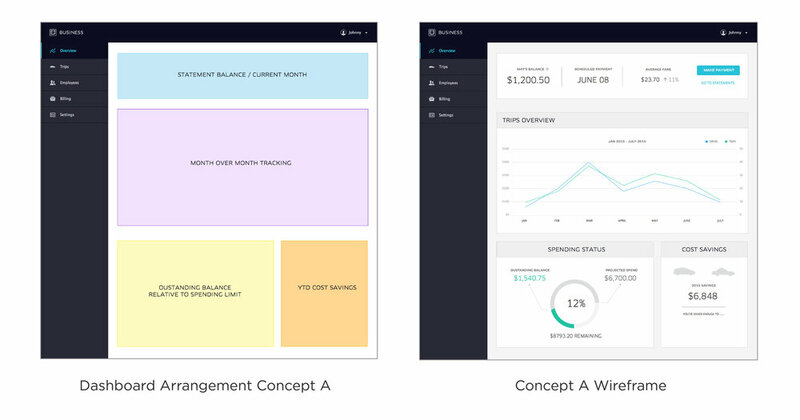 The Ask: Design and test a new dashboard section for the Uber for Business platform. 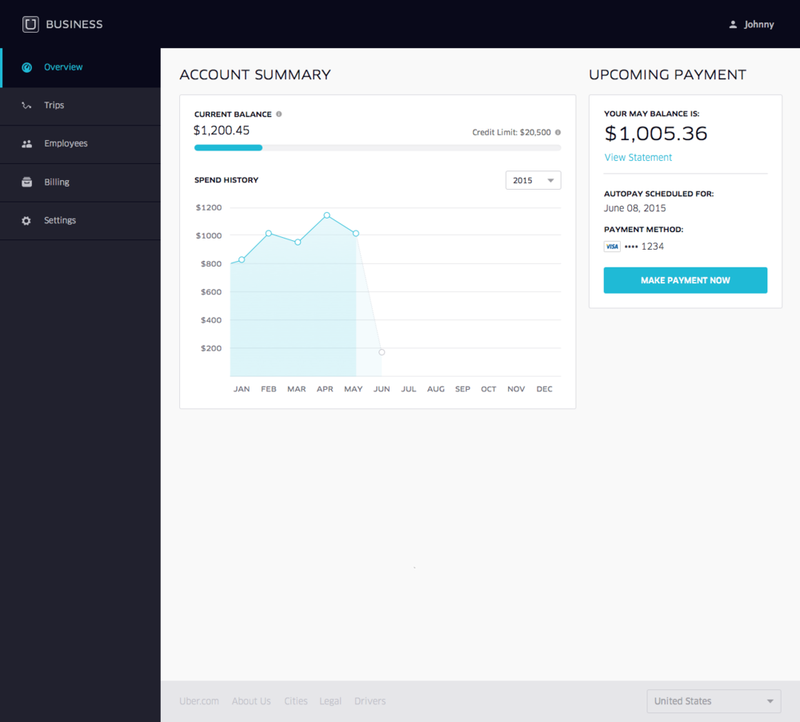 The goal of this section was help with the introduction of the monthly billing product that was in development. Uber for Business is a travel management platform that enables companies easy ground transportation for employees. As one of the fastest growing verticals within Uber, the team was constantly iterating on our primary touchpoint, the admin web dashboard. Working with the support team and interviewing customers, we learned of opportunities to optimize the interface to better align with admin’s workflow. I redesigned the ‘Trips Page’ to enable new functionality and more useful travel details. U4B Web Platform IA: Conducting an audit on the existing features across the Uber for Business platform revealed inconsistencies that frequently accompany a minimum viable product with aggressive timelines. I proposed an information architecture that organized content to align with admin’s frequent task flows and mental model. 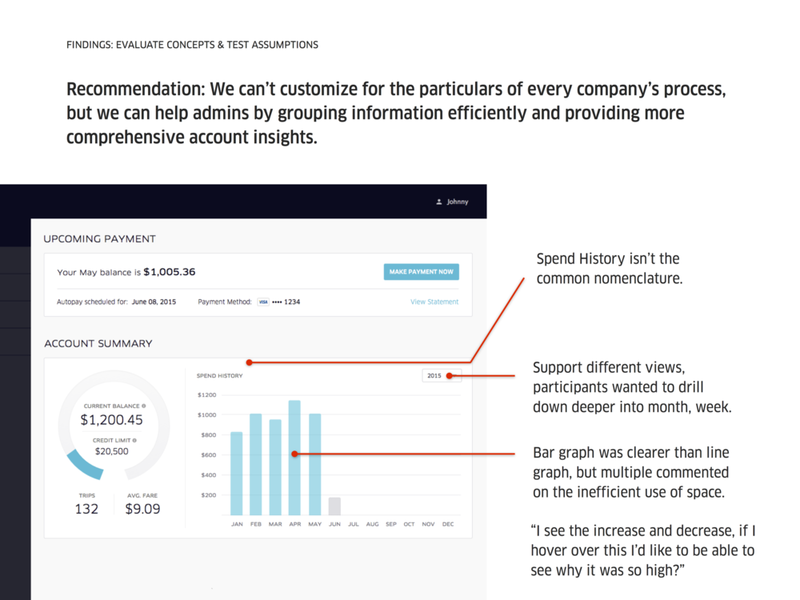 Overview Page Concepts: I presented three concepts for the new ‘Overview Page’ exploring best means to visually communicate account information and comparative data. These wireframes were brought into visual design for testing. Overview Page Research: Following the customer research I presented the high-level findings and advised next steps in a deck that integrated clips from the studies to be shared throughout the team. Trips Page Wireframes: Customer research around our existing ‘Trips Page’ provided actionable recommendations. These were captured in an annotated design document and implemented by the engineering team.